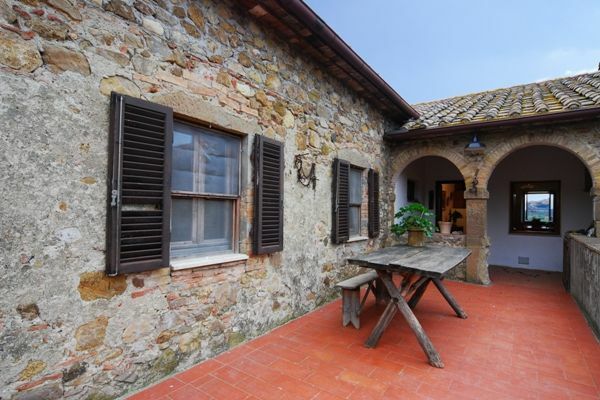 In the very heart of an unspoilt part of Tuscany, just 30 minutes drive from Siena, is an authentic Tuscan farmhouse surrounded by beautiful views and nature. The authentic nature of the farmstay is an organic farm that produces its own deliciouis Pecorino cheese, olive oil, jams and vegetables. 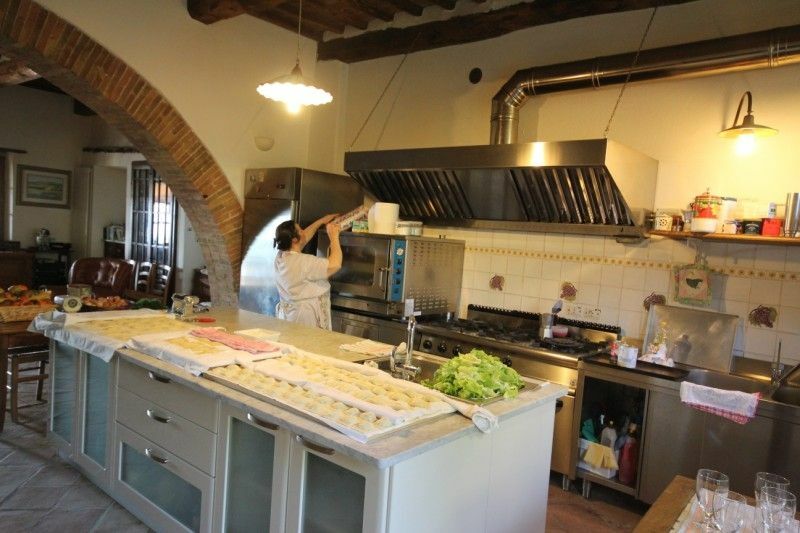 Daily life at the organic farm is full of activity, sheep walking, milking, cheese making, cooking and of course tasting Giovanna'swonderful dishes at mealtimes. The ambiance is very informal and laid back and you are always welcome into Giovanna's kitchen. 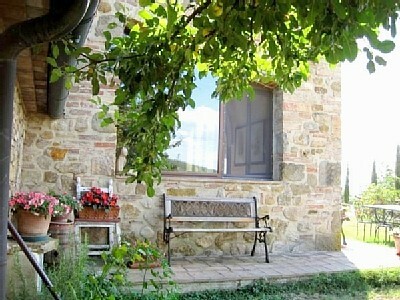 The farmhouse is divided in 5 apartments - 3 of which are for rental and an independent barn, all restored with greatcare. 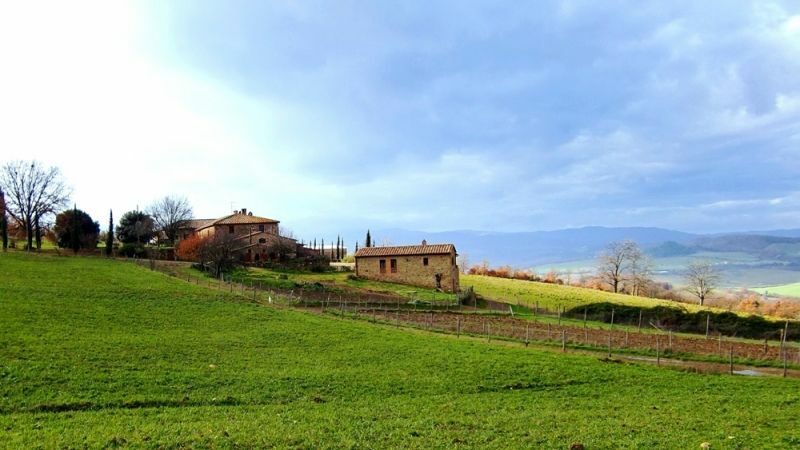 There is a lovely garden and a large swimming pool with a wonderful view over the surrounding charming landscape incuding the hilltop village of Radicondoli, just minutes away. The house offers also a large kitchen/dining room with a huge fireplace with sofas for people to mix if desired. Simply enjoy Giovanna's cooking served either in the large dining room, outdoors or if you wish, in your own apartment! One thing for sure, you will not be disappointed! Free wireless fast internet connection available for guests.